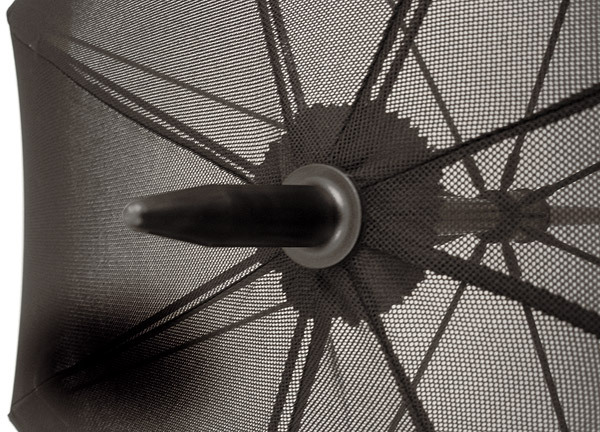 The best umbrella of the highest quality ever developed for golfing and open air events. 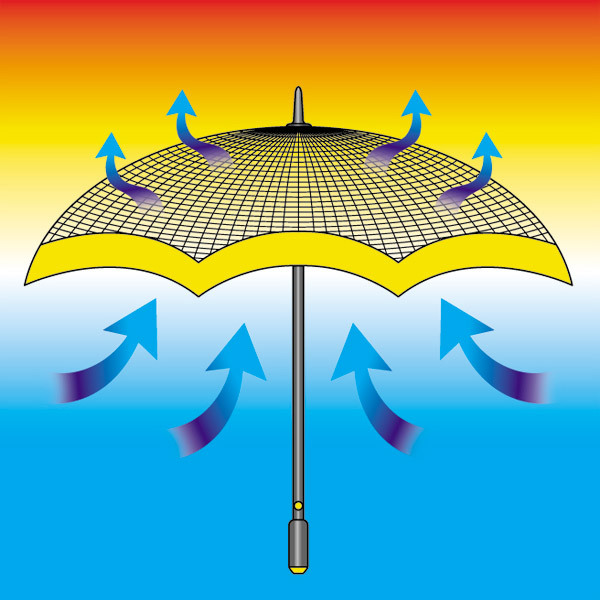 A transparent and robust polyester net fabric allows continues free flow of air providing a comfortable and cool feeling on hot and sunny days. 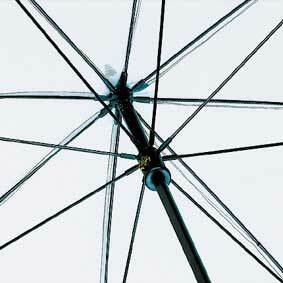 It is impossible to twist the opening mechanism due to the fiberglass profile shaft. (1) Comfortable, safe and well-visible opening device. Impossible to get your fingers caught. Especially for golfers with a hook for the glove and to fix the towel at the opening devise to keep it dry. 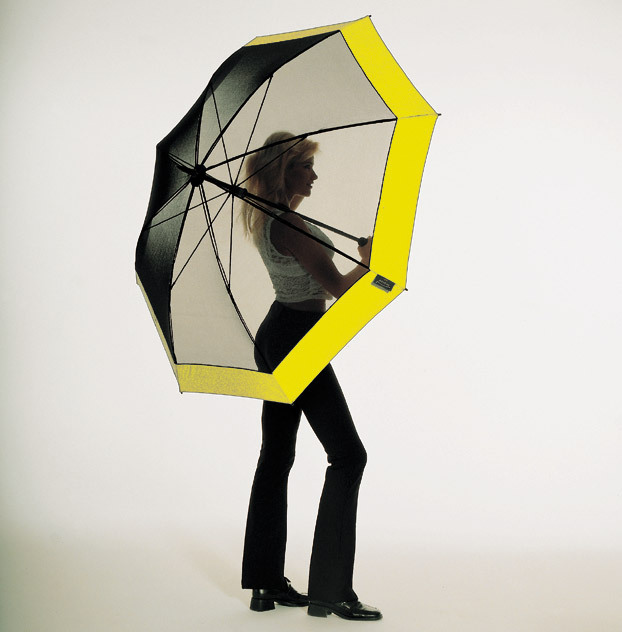 The ideal umbrella for golfing or outdoor sports events.